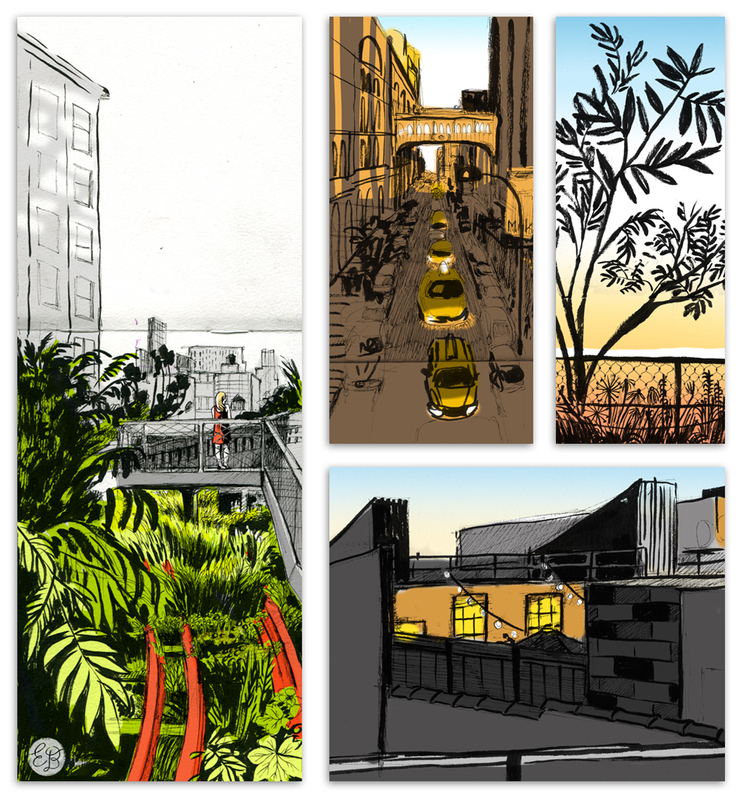 The second installment of my summer drawing club met Tuesday night up on the high line. It couldn't have been a better New York City night. 75 degrees, check. Gorgeous sunset, check. Hoards of people, CHECK. Eh, two out of three ain't bad. Maybe it was the crowds, or the fact that I just wanted to close my eyes and enjoy the weather, but I didn't have a whole lot of patience during this outing. Still, I'm pretty happy with what I captured, and after putting in a bit of digital color (based off some notes I took), I think you get a good feel of some of the calmer parts of one of this city's most unique parks.